The Dell S2817Q comes loaded with a 2ms response time, 60Hz refresh rate, and a whole mess of ports. If you've been looking to upgrade to a higher resolution monitor, Staples has a nice deal on a 28-inch 4K model right now: The Dell S2817Q is $270 at the office supplies retailer. That's one of the lowest prices we've seen yet—$12 under the all-time low on Amazon. The Dell S2817Q is a pretty good 4K monitor for everyday use. Though its design is fairly generic, its 3840x2160 resolution means you can cram a lot of information onto the screen at one time. It also has a fairly wide range of ports—two USB 3.0, two HDMI, one DisplayPort, and one Mini DisplayPort—so both desktop and laptop users will find it easy to connect to. This TN display isn't explicitly marketed as a gaming monitor, but with a 2ms response time and 60Hz refresh rate, it should work just fine for that purpose as well. It doesn't come with support for either FreeSync or G-Sync, though, so gameplay won't be as smooth if you rock a budget graphics card. It does come with dual 9W integrated speakers if you want to take your gaming console out of the living room, however. 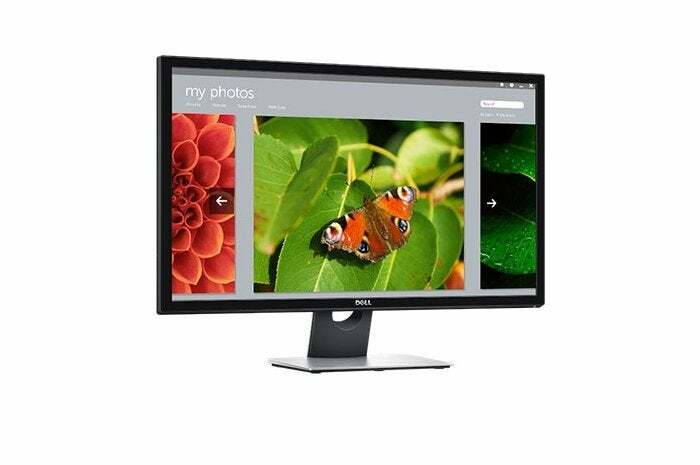 This monitor also supports picture-in-picture and picture-by-picture modes for multitasking.